Wow, this is a beautiful Bible! It’s a small Bible, the dementions being 5×1.4×7.4. Just the right size for carrying in your purse! The description says comfort print and the print is sharp and easy to read. But it is very small print, 6.5 print size. But for younger people that have no problems with small print, this would make a beautiful for the Bride in your family. The red letters are nice because you can know that Jesus said these words Himself. There are pages that you can record many things including your marriage date, family history, etc. And I can’t leave out the gorgeous white leather look cover with a pretty flower border. Everything about this Bible says Bride! It is the NKJV, and would be nice for the pastor to give to the bride, or anyone really could give this beautiful gift Bible. I think it is just absolutely amazing! And I pray you will check this one out! My first thoughts when I opened this Bible was WOW! This is an amazing Study Bible with the input of we known Bible Study author Warren Wiersbe. Dr. Weirsbe is known for his studies on the different books of the Bible, and he has incorporated 1000’s of Study lines into this Bible to help with your Bible Study! I love the cover, with the black leather and teal stitching on it. And the silver tip on the edges of the pages just makes it complete. Even though I love this Bible, it is a great Bible for men, because of its color and overall look. I love that the font is a medium font that is easy to read, without having to have a larg print. The features are many, including colorful maps, many different Study tips throughout the Bible, each book has a unique heading featuring Dr Weirsbe! I know you will enjoy having this Bible as part of your Bible study tools. I was suppose to review this Bible for BookLook Bloggers but I never rec’d My copy. So I am posting this Spotlight on my blog. I have seen this Bible and it is beautiful, especially for a man. The color is a light brown, with some black, so very manly colors. There are many features, as you can read in the description. I highly recommend this Bible, it would especially be great as a gift. So I hope you enjoy my spotlight and will go out and check this Bible out for yourself! The opinions here are my own! I rec’d nothing in exchange for my spotlight on this Bible. The pink Sequin Sparkle and Change Bible is sure to be a hit with girls! This fabulous material is on everything from pillows to t-shirts. The “mermaid” sequins change color right before your eyes. Girls will love the design and will want to carry the Sequin Sparkle and Change Bibleeverywhere! First if all, the outside cover of this Bible is adorable! I’ve have fun playing with the Sequins! Any little girl would love to have this beautiful Bible to carry to Church for themselves! I love the beautiful pages inside, they are all geared to girls who love pink and beautiful books. Only this book is one that they will live by their entire life so I love that its made so special! There is another reason this Bible is special, and it’s because it is the IBC version, a new translation made just for kids on their level so they can easily read and understand the Bible. I have enjoyed looking up verses in this pink copy I have. I’ve also enjoyed reading the extra pages, the fun and unique way this Bible is laid out to help kids if all ages read, study and understand their Bible. If you are looking for a gift for that’s special girl in your life, this Bible would be an amazing gift. It comes in both pink and blue. Each cover is full of sequins that change colors and well, it’s just fun to play with this amazing cover! CLICK ON THE LINK BELOW TO ENTER FOR THE GIVEAWAY! The CSB (in)courage Devotional Bible features the highly readable, highly reliable text of the Christian Standard Bible® (CSB). The CSB stays as literal as possible to the Bible’s original meaning without sacrificing clarity, making it easier to engage with Scripture’s life-transforming message and to share it with others. I enjoy review Bibles. There are so many out there now, in every color, theme, you name it. It’s fun and interesting to view each one and let people know my thoughts. The inCourage Bible is and interesting Bible for Women by Women. No the Bible itself isn’t written by women, but throughout this beautiful Bible you will find so many thing devoted to women only. So many devotions written by women to women for encouragement and support. So many stories of encouragement from women who have been through situations that will surely help someone else going through the same issues. I found this Bible so encouraging, having been though a lot this year myself. If you are a women in need a great encouragement, the (in)courage Bible May be just want you are looking for I have included many pictures for you to view this beautiful Bible and my prayer is that many of you will Check out this new Bible. And another place I found wonderful advise and encouraging things is their website, which will be at the end of this post. There is a wealth of information there to help as well! I received this (in)Courage Devotional Bible from FrontGate Christian Blogger Network to watch and review. I was not required to write a positive review. The opinions I have expressed are my own. I am disclosing this in accordance with the Federal Trade Commission’s 16 CFR, Part 55. At (in)courage you are welcome to a place of faith, connection, and friendship, where you will always find yourself among friends. Founded in 2009 by DaySpring, the Christian products subsidiary of Hallmark Cards, Inc., the vision for (in)courage was to create a new home for the hearts of women, where women take turns pulling up a chair to share their stories of what Jesus looks like in their everyday, gloriously ordinary, and often messy lives. Since then, (in)courage has grown into a vibrant community that reaches thousands of women every day, welcoming them just the way they are, offering a space to breathe, loving support, and resources for meaningful connection. A unique resource designed to help people answer important, life-shaping questions. Here is a wealth of knowledge at your fingertips to help you know the reasons and evidences for Christian hope and articulate those reasons to others asking the big questions. This app includes the complete Holman Christian Standard Bible with footnotes and cross references in the Olive Tree BibleReader. and more than 50 others. 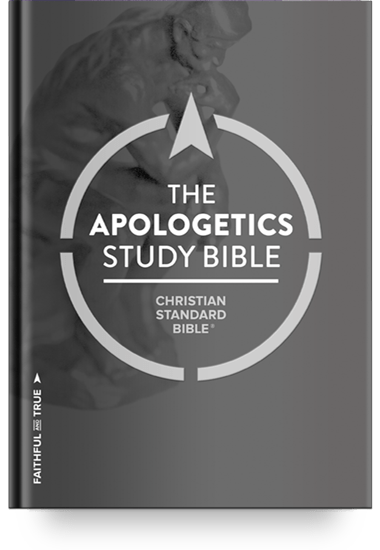 I really like this Apologetic Study Bible is a great addition to my Bible Study tools. It helps be to understand how the Bible and science can work together. And it helps to strengthen my faith because it proves what I believe with facts and It answers question on why people say the Bible contradicts itself. There are many tools in this Bible that are so helpful, but to me all of the many articles were interesting to me and in these wide range of articles I am still reading and learning more than I ever imagined from this Bible. These articles were written by the most well know apologist, theologians and scholars, many names you will surely recognize. Oh and I can’t forget to mention the twisted scripture explanations that explain verses that are misused by so many people. And I can go on and on about the many other tools that have already been helpful to me, and will continue to help in my knowledge of the scriptures. I received this book from B&H Publishers to read and review. I was not required to write a positive review. The opinions I have expressed are my own. I am disclosing this in accordance with the Federal Trade Commission’s 16 CFR, Part 55. 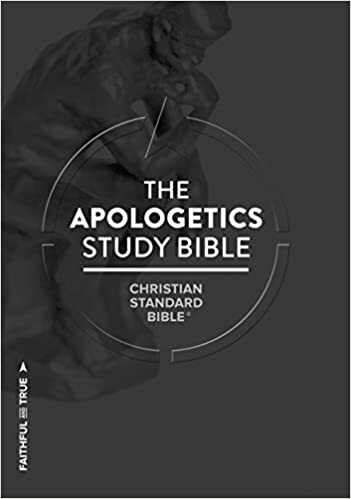 The CSB Apologetics Study Biblefeatures the highly readable, highly reliable text of the Christian Standard Bible (CSB). The CSB stays as literal as possible to the Bible’s original meaning without sacrificing clarity, making it easier to engage with Scripture’s life-transforming message and to share it with others. This is a beautiful Bible inside and out. There are many pages of Beautiful pictures of creation to color. The pages are double sided, and thick enough to color each side without the pages to damage. This would be an awesome Bible for a tween or teen that enjoys the new craft of adult coloring. Its a great way to personalize the Bible to suit your own taste. Oh, and another feature of the coloring pages is a Bible verse on each of the pages that go along with the picture to color. You just can not go wrong with this beautiful Bible. I wanted to review this Bible as soon as I saw it! I love the beautiful turquoise color and the pink ribbon to mark your place in the Bible is an adorable addition to the looks. Inside this NIV Bible, each page has an extra wide margin to give you space to write many notes. I like that the pages are thicker than those in most Bibles, this will help to protect the pages as you write on them. The Preface section in front of the Bible is nice to read because it tells you about the Bible, the Translation and will be a great help as you start using your new Bible. I love this Bible, and if you enjoy taking notes in your Bible, you will love this one too! This is a really neat study Bible, because of the online access to so many digital study resources about Bible discipleship and more studies that will help you grow in learning God’s Word. There are also a lot of study tools, articles written, and notes throughout this Bible that are unique and great study tools. One really good study tool is the SOAP Study throughout the Bible, which is Scripture, Observation, Application and Prayer. Other things include, at the beginning of each chapter there are sections detailing what it in each chapter, like these, outlines, plus there is a timeline for each chapter. Throughout the book there are pages that you can write notes, as well as a space on the side of each page to write any notes you want to write. This copy of the NIV Life Connect Study Bible is the hard copy with dust jacket. It is very attractive looking, and the inside format is neatly laid out to make it simple and easier to study. The red letter addition with Jesus’ words and the maps in the back of the Bible completes this wonderful study Bible. Bestselling The Beginner’s Bible brand pack for young readers that includes the complete New International Reader’s Version Holy Bible, and 365-day devotional. This pack contains a hardcover full-text Bible and a softcover 365-day devotional. Based on The Beginner’s Bible brand, the NIrV Beginner’s Bible, Holy Bible is a perfect first Bible for a child. With easy-to-read print and full-page illustrations, children will better understand stories in Scripture. Using the complete text of the New International Reader’s Version (NIrV), this Bible pairs beautifully with The Beginner’s Bible: Kid-Sized Devotions to encourage lifelong Bible reading habits. Simple connections to Scripture make the content relevant and understandable for young readers. Each of the 365 devotions has a theme to which the Bible passage, story and art relate. The NIrV Beginner’s Bible Devotional Pack is a perfect starting point for children as they develop a stronger relationship with God, to cuddle-up with parents or enjoy at church or daycare. This is a very nice little Bible/Devotional set for kids. The Bible is a full text Bible, with a little larger font to make it easier for kids to read. The NIrV is readers version only with no notes in it. The Devotional is really neat, with a verse for each 365 day of the year, and each o the devotions are a small paragraph. I love that it is simple enough that she could read it at six years old, yet it is the same Bible promises and truths that we read every day.